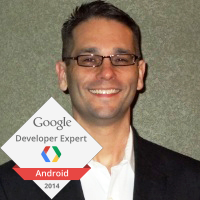 HIQES is proud to announce that our CTO Larry Schiefer is recognized by Google as a Google Developer Expert. The Google Developer Experts (GDE) title recognizes the outstanding developers who exhibit great expertise in one or more Google technologies and share it with the developer community. Larry is recognized by Google as an Android expert. GDEs are gurus, mentors and evangelists; they create tutorials, code samples, and write books and blogs; they publish videos, drive community projects, and present at events large and small. These independent developers bring their real-world experience and knowledge working with Google technologies to developer communities worldwide. Check out Larry’s Google+ page to see some of his extensive Android contributions. GDEs aren’t just expert developers in a Google technology of their choice – they spend a lot of time and energy sharing their enthusiasm and expertise with their local communities.